For authors, whether you’re aspiring or established, social media has become the way to attract potential readers and yes, agents and publishers who may be interested in representing you. Although there is no agent or publisher involved, social media is also an Indie author’s best friend. It puts you where you need to be–connected to your readers. At a past New Jersey Romance Writer’s conference, a group author friends and I were discussing our social media avenues. We all discovered that we were either blogging, active on Facebook, Twitter, and Linkedin or in the process of getting started. IMHO, it’s a must have for any author writing or planning to write in the age of social media. Ms. Katz offers sound advice on growing your brand and building a platform, especially if you’re not published yet. And one way to grow your brand and build a platform is through blogging. Let me sidestep and explain the brand and build a platform concept. If you think of Nora Roberts, Nicholas Sparks, or John Grisman, 9 times out of 10, you already know what kind of book you’re about to read, along with the theme and even some of their character types. It’s what they’re known for writing, it’s their “brand.” As authors, they have a strong, identifiable platform. Now back to blogging. Nowadays, almost everyone has a blog. However, as an aspiring author or even an established one, are you getting the most from your blog? 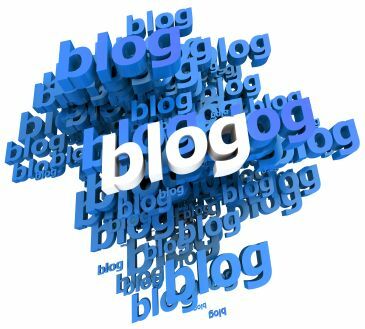 A Writer’s Digest article, “16 Blogging Tips For Writing Fresh Content & Attracting Readers,” gives advice specific to authors who want to build a brand and their readership. As an author, there are a few things we should do, not only to separate ourselves from the pack of blogs, but to create a professional platform that will entice readers, agents and publishers. This entry was posted in Thoughts, Writing and tagged agents, aspiring authors, Authors, blogging, business, editors, indie authors, literature, marketing, publishing, technology, Writing. You’re so welcome! I hope it helps.